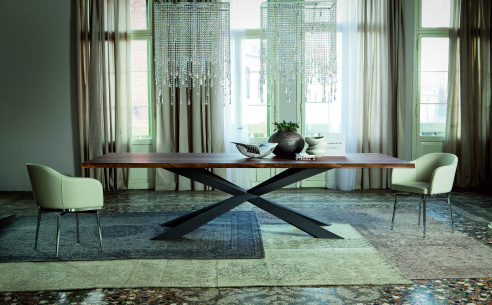 This magnificent Catellan Italia Spyder glass table is designed by Philip Jackson with all the panache and sophistication that entails. 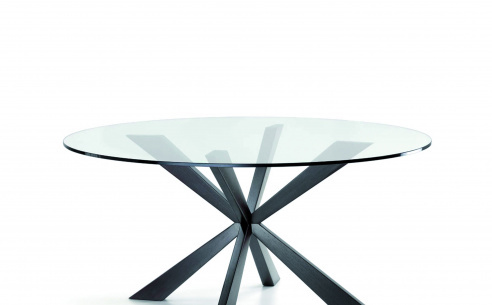 It has a 15mm thick tempered glass top. 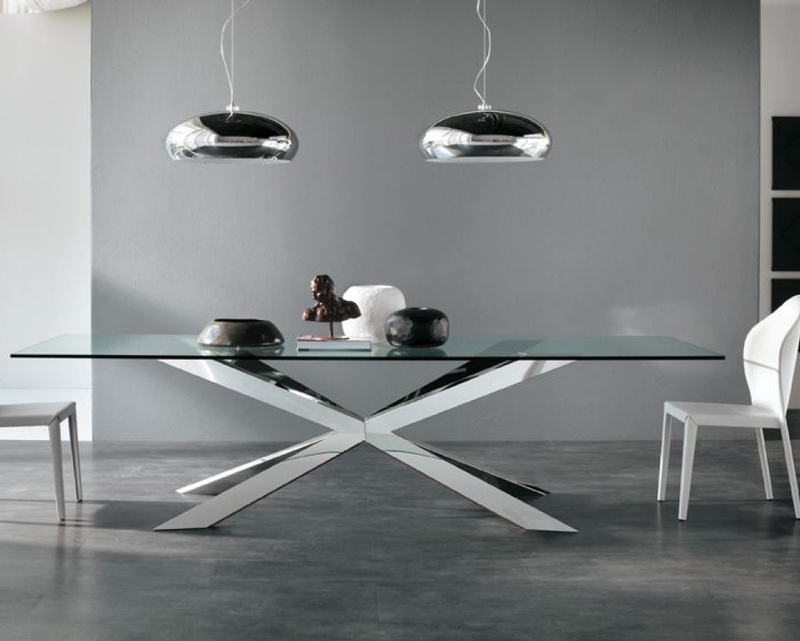 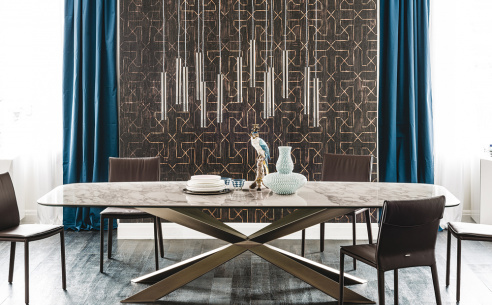 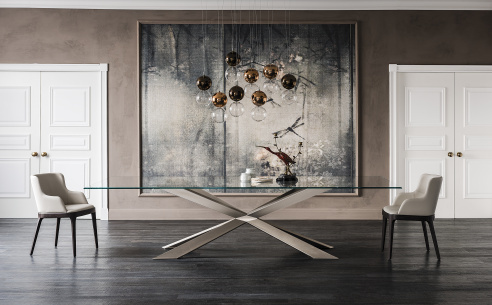 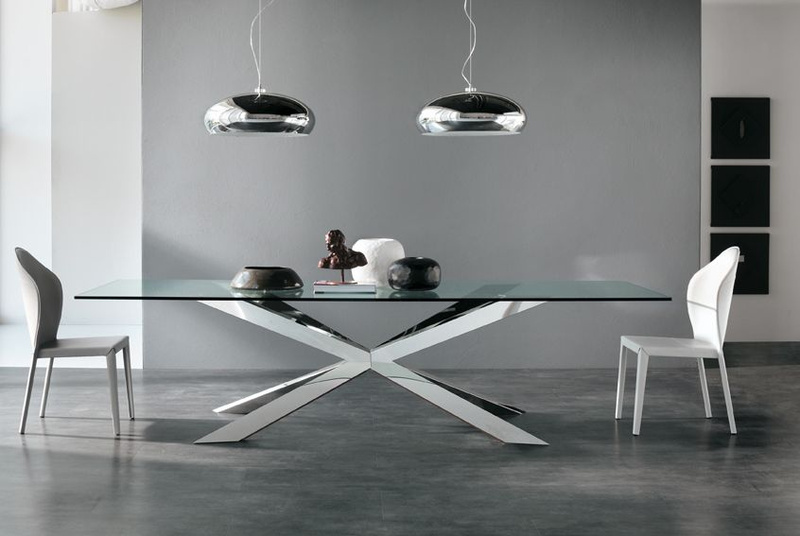 The base comes in gleaming stainless steel, brass, matt white varnished steel, matt graphite varnished steel, canaletto walnut, dark wenghe or heritage oak and offers a superb contrast to further raise this table to the level of elegance so synonymous with this immaculate brand. 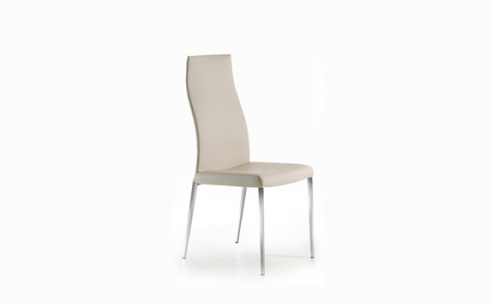 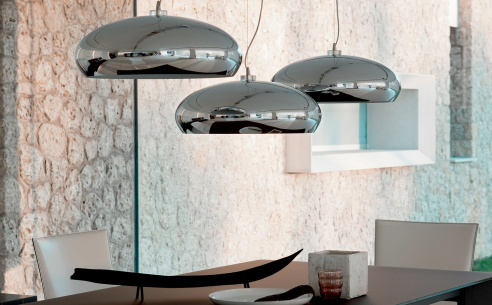 A truly stunning addition to any home and dining room setting.